alPHa invites its members to Get Active this spring! Click above for details for the PHU Staff challenge (May 9th, 2019). Click here for details on the second annual challenge for Boards of Health Members (may be completed any time before May 31st). 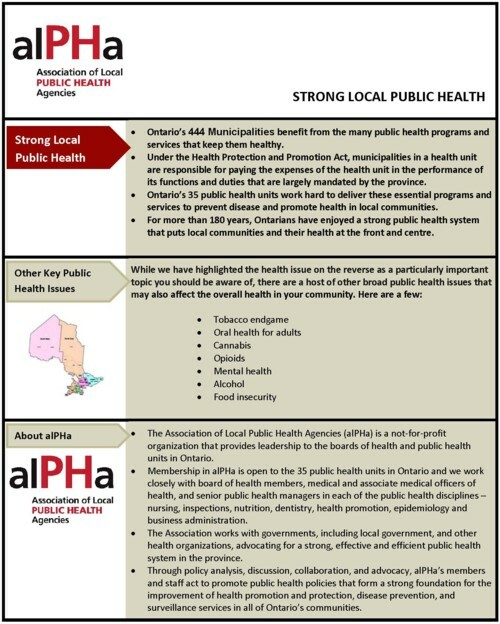 which outlines what public health is, why it matters, who alPHa is and what it does. **A full library of past conference proceedings is available to members here**. In anticipation of the October 22 municipal election, alPHa’s 2018 Municipal Election Task Force developed a set of seven (7) key policy priority backgrounders for consideration by candidates. Topics are Alcohol, Cannabis, Food insecurity, Mental health, Opioids, Oral health and Tobacco. 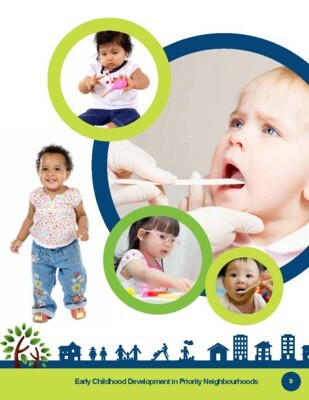 Customizable templates were distributed to boards of health to assist them in raising these issues with local candidates for awareness and influence on healthy local policy development. The full package of backgrounders is available by clicking the image above. Individual ones can be found in our "Other Information" library.